We’re Getting a Galaxy Note 8, Folks. Samsung is prepared to “bring back a better, safe and very innovative Note 8,” the company told a group of reporters at the end of last week. 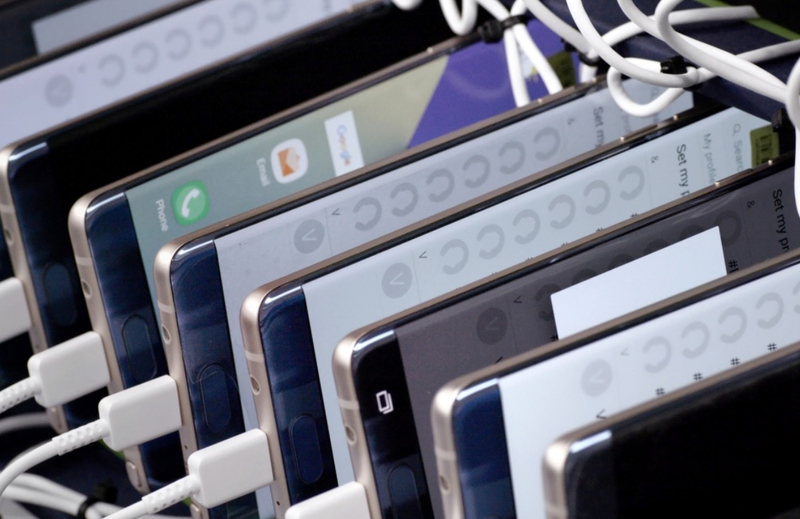 The message was shared as Samsung prepared to announce the findings of months of investigations into why the Galaxy Note 7 was recalled. In case that isn’t settling in just yet, let me repeat it – THE GALAXY NOTE 8 IS COMING. Samsung wouldn’t reveal any other details about the Galaxy Note 8, but if they follow a similar Note release schedule, it should be here in the fall. Then again, with the Galaxy S8 potentially launching later than usual, maybe the Note 8 will be pushed a bit as well. Of course, there is some risk in keeping the Note line alive and not switching the branding to something else. After a massive recall like we saw with the Note 7, due to manufacturing issues, there is going to be a level of trust there that Samsung has to regain. They also have to know that the industry is going to use a Galaxy Note 8 launch to re-hash the Note 7 troubles, talk a whole lot about whether or not this new one is safe, and pass around dozens of the were-never-really-that-funny Note bomb jokes. Samsung doesn’t seem to be worried, though. They told reporters that at least 10,000 people have already signed up on a list to be notified about future Note plans. They also feel confident in the idea that Note customers are loyal customers and want a new Note. Samsung isn’t about to kill this successful brand. Yeah, you are excited, right Note guy? I know we are.